Canada's Centerra Gold (TSX:CG) has rejected an unsolicited bid for its Kumtor gold mine in Kyrgyzstan from Chaarat Gold Holdings (LON:CGH), received last month, but which the London-listed miner made public on Tuesday. Responding to media speculation, Chaarat confirmed its offer to Centerra to buy Kyrgyzstan's largest gold mine, and though it did not disclosed the sum, said the deal would also involve Kyrgyz state firm Kyrgyzaltyn. The miner, which is developing the Chaarat project in Kyrgyzstan, wanted to grab Kumtor as part of a deal that would have given it ownership of the mine common equity, as well as management and operation of the mine. The Central Asian nation, in turn, would have owned the preferred equity and be entitled to 50% of the economic benefits of the gold mine. London-listed Chaarat is developing a namesake project in Kyrgyzstan in the same belt where Centerra’s Kumtor gold mine is located. Centerra’s mine is located in the southern Tien Shan Metallogenic belt, in which Charaat owns its namesake project, comprising the Tulkubash and Kyzyltash deposits, which are set to yield 300,000 to 400,000 ounces of gold a year when in full production. Under its current arrangement with the Canadian miner, Kyrgyzstan has a 26.6% interest in the Toronto-based gold producer, which is the biggest foreign investor and taxpayer in the landlocked country, a former Soviet republic. 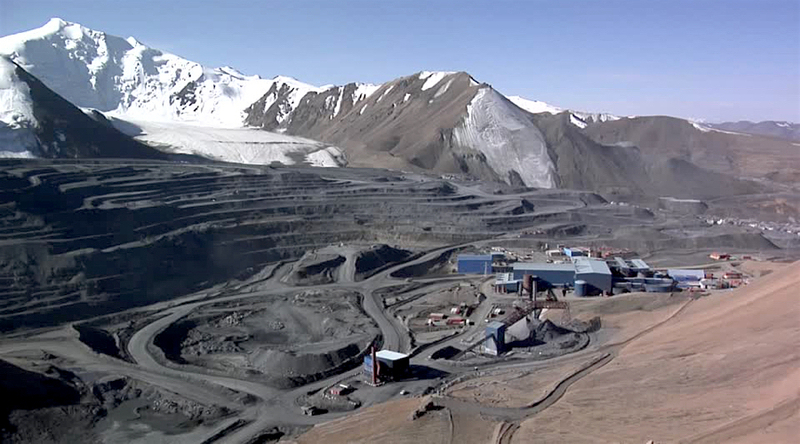 Centerra Gold, which in recent months faced several disagreements with the Kyrgyz government and state-owned miner Kyrgyzaltyn over sharing profits from Kumtor, said senior officials have confirmed they were not interested in pursuing the transaction proposed by Chaarat. Shares in the company jumped close to 4% on the news and were trading in Toronto at Cdn$8.16 by 9:50AM local time. Centerra, the largest Western-based gold producer in Central Asia, reached in September a $60 million-settlement with Kyrgyzaltyn, which ended mutual lawsuits, cancelled environmental claims, halted court proceedings and allowed the miner to transfer frozen funds from that country. Kumtor, which lies near the Chinese border at an altitude of 4,000 metres, has produced around 10 million ounces since inception and remaining reserves are 5.6 million ounces. Last year alone, it produced 562,749 ounces of gold, exceeding the upper end of its revised guidance. Centerra has been shopping for assets in safer jurisdictions as of late. In 2016, it bought out US-based Thompson Creek Metals (TSX:TCM) including the Mount Milligan copper-gold mine in British Columbia, Canada.